I’m a sucker for the simpler things in life, especially when it comes to coffee. I like it hot, in a mug, with a splash of almond milk. If something’s getting fancy, I’m going to Starbucks. I don’t trust myself with a milk frother or anything that produces steam. Still, there are ways to bring together the best of both worlds and make delicious coffee drinks that don’t require expensive equipment. 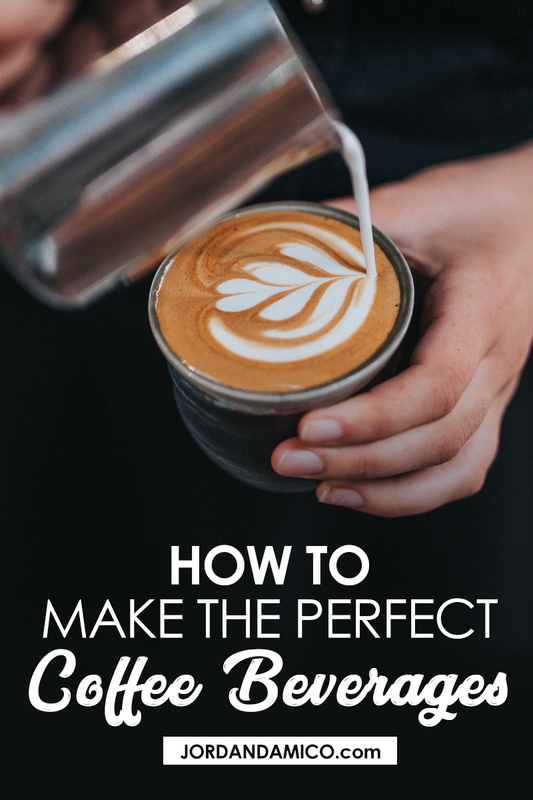 Since I’m no barista and I can barely be trusted pouring coffee (unless I’m making this Easy Hot Chocolate Coffee) – let alone being responsible for an entire cappuccino – I thought I’d rely on a few people far more versed in the subject than I to show you (and me) how to make the perfect coffee beverages from home.